Trees are a source of life. They not only provide us the oxygen for breathing but also add beauty and charm to any place. Trees also act as physical filters. They absorb dust and particles from air that may cause harm to health. They also provide shade from the scorching heat of the sun and keep everyone safe from noise pollution. It is extremely necessary to take proper care of trees otherwise carelessness may cause trees to fall. The falling of trees can cause property damage and also injuries to humans. Lack of sunshine or insufficient supply of water results in the weakening of trees. Services of an arborist must be taken professionally to get the dangerous branches of any trees trimmed. 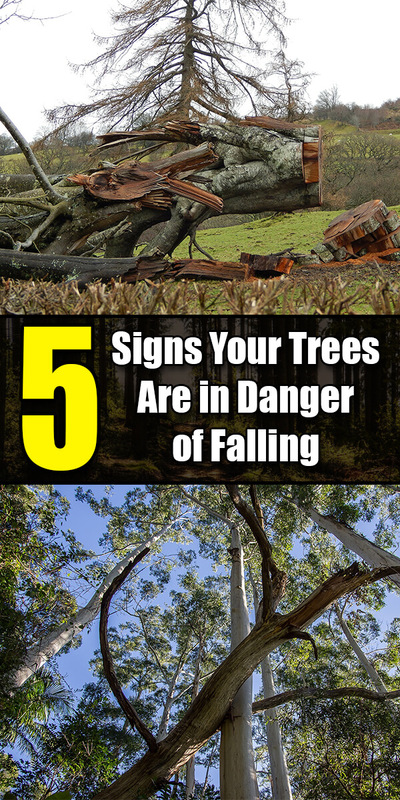 The following are some signs that help you to tell if your tree may be in danger of falling. Many trees have leaning branches that look natural and safe, but this is not true in all cases. If a tree is leaning unusually and more than 15 degrees in any random direction, this is the time to be alert. This occurs because of damaged roots. An expert arborist recommends removal of trees in such scenarios. A damaged trunk with threatening sores is a symbol of a weak tree. Signs like cracks or holes on the trunk are also indicative of a tree’s poor condition. In this scenario, expert’s advice must be taken immediately instead of losing the tree forever. If branches of trees start falling without a clear reason,it is also a sign that a tree may fall soon. It does not matter whether the branches are large or small, you should contact a tree removal service urgently to have the tree inspected and possibly removed if necessary. If mushrooms are growing in the surroundings of trees, and fungus is spread on the trunk, it is potentially a sign of dying roots. Arborists can deeply inspect the roots and more accurately determine whether or not their are problems with them as their expertise allows them to see things a common man can’t. An undetected disease of trees can also take a tree’s life away. If color of leaves are losing its shine and brightness, it is a sign that the tree is decaying. If growth of leaves stops, that is also a sign that a tree needs special care. Urgently get the help of the best tree surgeon in Ireland and save the life of your tree. Trees are living things and must be treated like living things. If you find out any of the above mentioned signs in your trees and you care about the health of your trees (and I hope you do), immediately contact an expert arborist in your town. Also, when the storm season rolls in, get your trees checked and take the precautionary measures in order to avoid damage. Get the tree removed if required, but at the very least get the branches trimmed to avoid the damage caused by falling branches and to reduce the damage caused should your tree fall over completely.